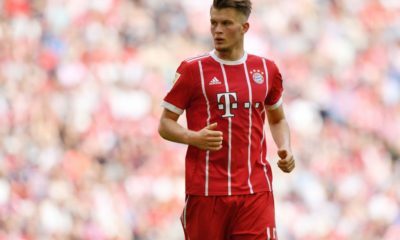 Bayern met the Dortmund at the Allianz arena on Sunday in the first Klassiker of the season, it promised to be a fascinating tactical battle between Guardiola and Tuchel and did not disappoint. Furthermore the quality both teams could boast was remarkable. Dortmund knew this was their chance to prove their title credentials after a little blip which saw them fall four points behind Bayern after winning their first five. It is fairly common knowledge that Pep’s Bayern are a far more direct and vertically-oriented side than Pep’s Barca despite their similarly high possession levels. So Tuchel’s observation that ‘’Bayern surprised us using those long balls from their centre backs’’ indicates that Bayern stepped it up a level in this match. Martinez started in the middle of Bayern’s back 3 but with less than 15 minutes on the clock he swapped with Boateng. This may have been a response to Kagawa man-marking Alonso (see image below) that left Martinez to play the central penetrating passes which he struggled to do effectively. 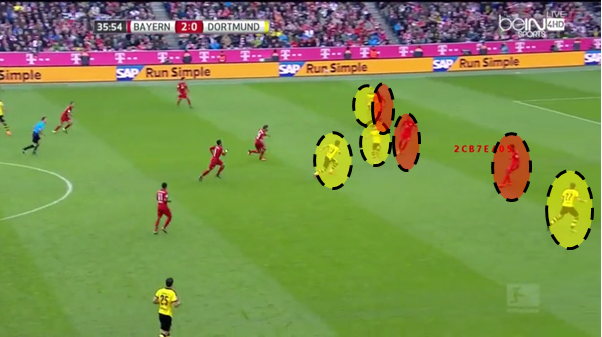 Bayern then began implementing their direct strategy, utilising Boateng’s fantastic range of passing. 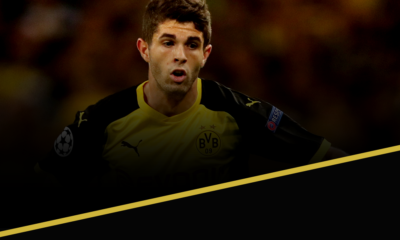 His passing instigated several various forms of attacks, with combinations following his line-breaking vertical passes, isolated wing-attacks after long, diagonal passes and (as for the first and second goals) chances created after long passes over the top of Dortmund’s defence. Die Schwarzgelben defended with a fairly high defensive line to maintain vertical compactness as their forward players actively engage opponents against the ball. One major benefit of good vertical compactness is the difficulty opponents will likely encounter when trying to play through the densely populated area. This forces several teams into more difficult, direct and predictable attacks. 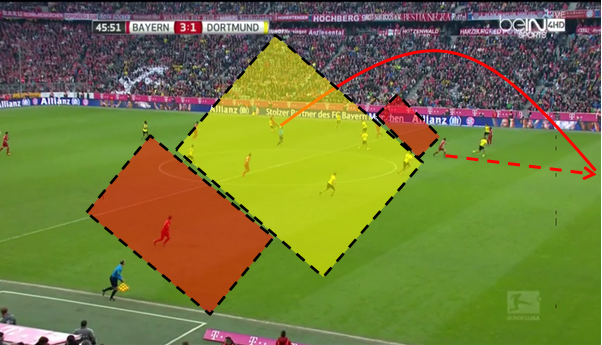 Furthermore Dortmund were clearly focused on congesting the central areas (yellow zone) and allowing Bayern space to either side of their block (red zones). However in Boateng Bayern had a player capable of playing accurate passes that completely by-passed Dortmund’s populated zone and created chances in one. Also note how in a similar position to Martinez earlier, Boateng manages to create a dangerous situation and, as it transpired, a goal. Bayern consistently managed to time their forward runs to exploit Dortmund’s high defensive line which had a hand in three of their goals plus other good chances. Perhaps these issues for Dortmund could be expected given that Bender, Sokratis and Piszczek were playing out of position due to injuries and this could have played a part in the thinking behind Pep’s direct approach. 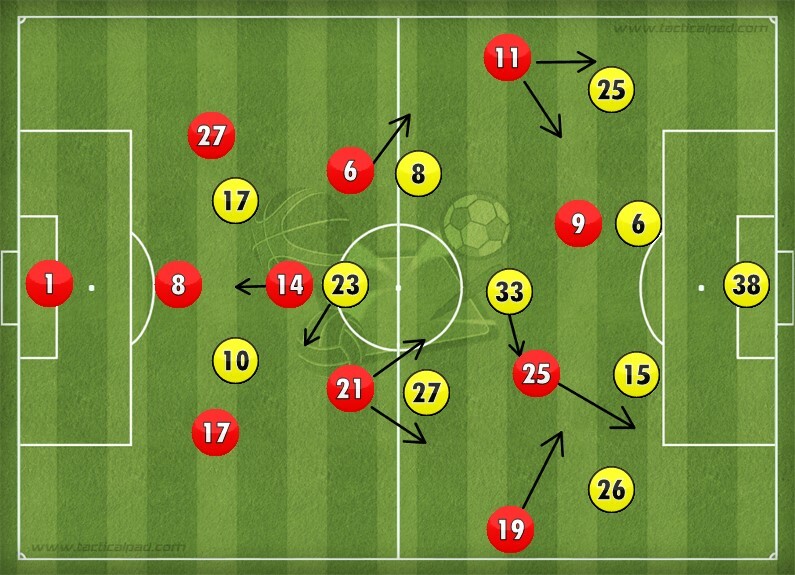 As opposed to Dortmund’s usual 4-2-3-1/4-3-3 hybrid Tuchel opted for a 4-3-1-2/4-3-3 hybrid system. 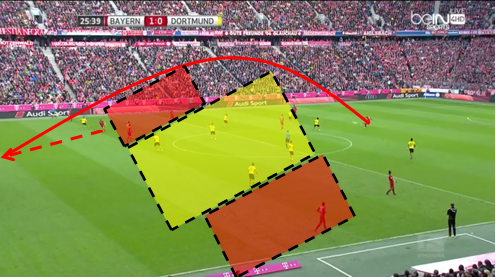 This was possibly chosen in preparation for Bayern’s back 3, by matching Bayern numerically in their build-up Dortmund could restrict Bayern’s central access pro-actively using deliberate positioning and cover shadows. Theoretically this would force Bayern to play in the less stable wide areas where it would be easier to regain possession. However Bayern with their super-press resistant players managed to play out of potentially unstable positions under pressure and progress from there. With the wide supporting movements of Lahm on the right and Thiago on the left Bayern managed to maintain access to the all-important centre of the pitch. Around the half hour mark Tuchel altered Dortmund’s shape slightly by moving Castro out to the right thus making the team resemble 4-2-3-1 more closely. This led somewhat directly to Aubameyang’s goal, with the 4-2-3-1 they had a potential 4v3 against Bayern’s defence if they could successfully breach Bayern’s midfield. They managed to do so with Hummels finding Mkhitaryan between the lines and with Castro they managed to exploit the space around Die Roten’s back three. Quickly after Dortmund pulled one back prior to the interval Pep switched to a back four by moving Lahm to an orthodox right full-back position creating a 4-2-3-1/2-4-3-1 depending on the height of the full-backs. This was a direct response to Tuchel’s switch to 4-2-3-1 which threatened to ignite their attacking play through a numerical advantage. With the back four Bayern could at least match, and with Alonso, outnumber BVB’s attacking players. Tuchel seemed to have no more tweaks or reactions up his sleeve to combat the latest change, meaning Pep had the last laugh rather predictably. 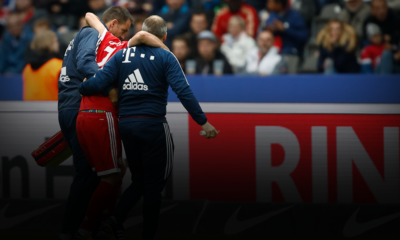 It was pro-active coaching of the highest level and showcased why the Bundesliga is undoubtedly the most complex and exciting at the moment from a tactical perspective. The Bavarian juggernaut continues to move ahead full-steam crushing all before them and leaving their future opponents trembling in fear. This latest victory leaves them 7 points clear at the top of the table and the destination of the Bundesliga is firmly in their hands even at this early stage. Champions league group stage qualification is also all but assured, all this is without the influential pair of Robben and Ribery so the season ahead certainly looks promising for the Stern des Südens. Dortmund’s unbeaten start to life under Tuchel came to an abrupt end at the Allianz arena and they will certainly feel the result may have been different if Burki had not chosen this match for an off-day and if their first choice defenders been available. At the moment their title prospects look bleak with the advantage Bayern have already built, however the title race is a marathon not a sprint and with consistent form Dortmund could yet put Bayern under serious pressure. The Europa league, although possibly an unwelcome distraction, offers a great chance for Tuchel to win a major trophy in his first season. This combined with a serious title challenge would be a great first term in charge for him, and would provide a foundation for further success.